The VWAP Axle pads have been at the forefront of axle weighing for over 10 years and at only 23mm high are the slimmest, lightest and most portable weigh pad available. A high strength aluminium alloy construction (as used in aircraft design) ensures impressive strength and robustness and tough plastic tracking makes the VWAP20+ ideal for high accuracy static or dynamic weighing. The pads and interlocking tracking are highly portable with convenient carry handles allowing them to be stored and carried to the weighing location when required. All VWAP models feature detachable cables for maximum portability and quick and easy servicing. 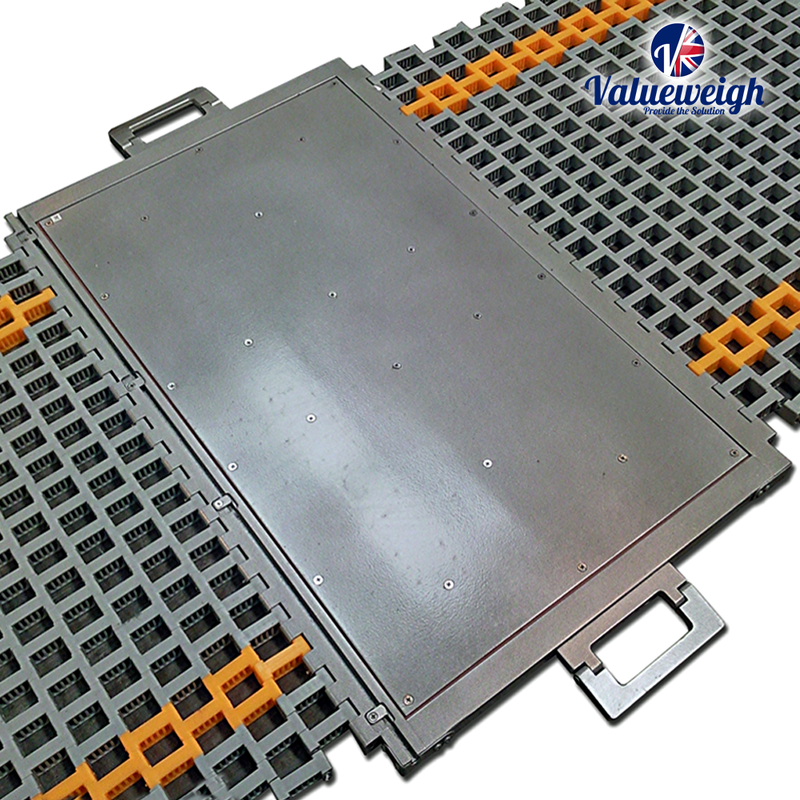 The pads are sealed to protect against dirt and water ingress and can be used for static or dynamic axle weighing. Standard, large and over-size models are available making the VWAP ideal for weighing all types of vehicles from cars to lorries. Her Majesty's Coastguard - AWM Limited are very pleased to have supplied 74 x VWAM Axlemate Weighpads to Her Majesty's Coastguard. The pads will be used to weigh HMCG vehicles throughout the UK and we are extremely proud to know our products will be used to support the vital service they provide. DVSA - The Government's Driver and Vehicle Standards Agency utilise our VWAM weighpads for vehicle overload checks and have purchased many pads over the past 10 years. British Sugar - The UK's largest Sugar supplied uses our weighpads to check their vehicles and weigh their trailers during their R+D and design processes.